iOS 9.3.3 IPSW Download link for iPhone 7, 6s, 6 plus, SE, 5s, 5c, 5, 9.7 12.9 iPad Pro, iPad Air, Mini, iTunes restore Windows 10/8/7 Mac. 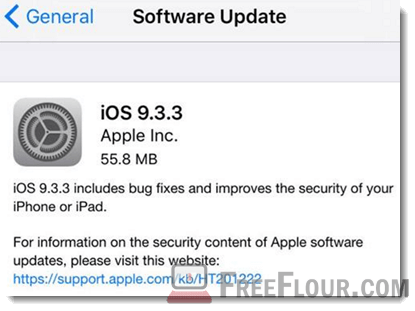 It’s been nearly 3 months since Apple seeded iOS 9.3.2. After several beta releases of iOS 9.3.3 in the past 2 months, Apple has decided to release its final version to the public now before the coming major release of iOS 10 this fall. 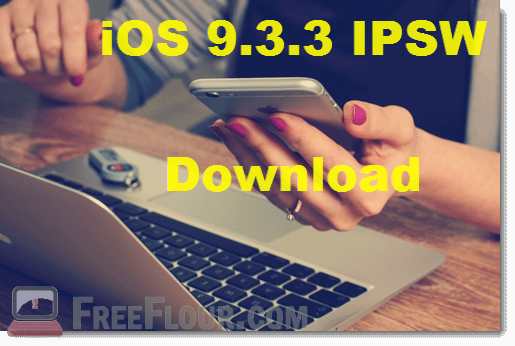 iOS 9.3.3 IPSW file direct download link can be found below in this post. According to Apple, iOS 9.3.3 officially supports the following devices: iPhone 6s, 6, 6s and 6 Plus, iPhone 5s, 5c, 5, iPhone 4s, iPhone SE, iPad air 1, 2, iPad Pro, iPad mini 1, 2, 3, 4, all iPad models except the first generation, and iPod Touch 5th and 6th generation. Everyone is probably looking into iOS 10 now since the unveiling of its awesomeness which was scheduled to be released in coming fall. However, iOS 9.3.3 is really something you need to pay attention to as it’s believed to be the final version for iOS 9 which consists of all the final bug fixes and existing features improvements. iOS 9.3.3 is considered to be a minor update but it has every possible answer to all existing bugs in the history of iOS 9 and is meant to finalize iOS 9. iOS 9.3.3 will be the last and the most stable version of iOS 9. Update: It’s also worth noting that iOS 9.3.3 is currently jailbroken. It is now the latest jailbreak-able iOS version since iOS 9.1. It’s definitely a good news for all those who have been stuck and waiting for a jailbreak release that can be applied as soon as you upgrade. Users can go straight to the OTA (over-the-air) update to upgrade your device to iOS 9.3.3 immediately. By default, Apple will prompt you a pop up update notice if your device is supported and eligible for the update. If there is no pop up, update notice or whatsoever shows up on your iPhone, you can go straight to the OTA setting by tapping into the Setting > General > Software Update. You should see an update button for iOS 9.3.3 with its info listed below it. Hit update to begin updating your device. Be noted that this will cause your device to download iOS 9.3.3 immediately using whatever internet access you have on your device. iOS firmwares are usually huge in size. It’s always recommended to do this only when you are using a WiFi to avoid unnecessary data charges. Optionally, you can do it the manual way (clean installation) by downloading the iOS 9.3.3 IPSW file from the direct download links provided below in this post and restore it to your device via iTunes. Please remember to do a full backup by both creating a backup in iTunes and syncing all your important data, photos, videos and apps before restoring. Listed below are direct download links for iOS 9.3.3 IPSW files according to their supported device models respectively. Links are provided by Apple officially. Download only the one that correctly matches your device model otherwise it won’t work (returning iTunes error 3194, 100, 1671, 53, 1, or 7). Head over to this page for all the latest iOS updates on all iPhone, iPad and iPod touch models. Subscribe or Like us on Facebook to be notified about all the latest iOS jailbreak news and releases.